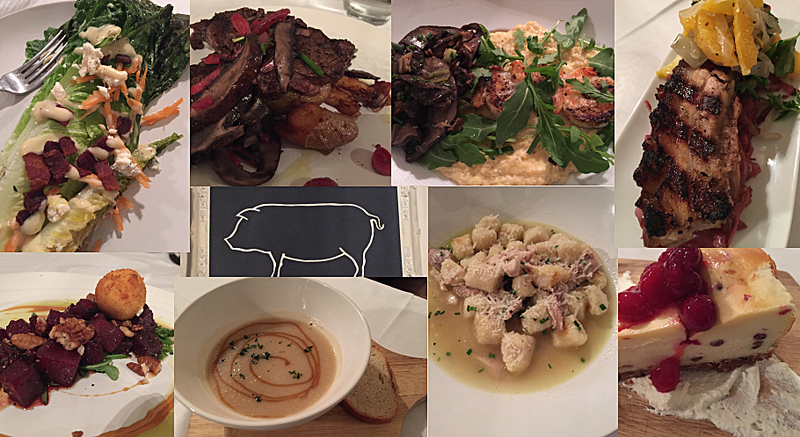 My selection for Restaurant Week was the Little Hen. I had read many great reviews on Twitter so thought this would be a great time to sample what it had offer. I had some difficulty finding Little Hen because my GPS and Phone were giving me squirrely directions. I arrived first, asked about the table and told it was not ready, as Belle and Bad Boy came through the door. The waitress appeared and took us to the table. The restaurant has a hopping bar and the dining area offers an intimate dining experience. I loved the comfortable chairs. The restaurant was not crowded, yet service was very slow. Our Waitress told us about the menu and the specials for the evening: left and did not return for quite some time. We all ordered different things; I had the Charred beets with a brown sugar cider gastrique, which were excellent. All of the ingredients married well together. They were my favorite dish of the evening. Belle ordered the grilled Romaine lettuce with bleu cheese and honey mustard dressing. Bad Boy had the potato soup with a unique flavor from the sweet & sour vanilla-apple puree. The second course did not go as well. I ordered the NY Strip steak, (an upgrade from the Hanger steak) medium well, with crispy fingerlings, pickled local mushrooms and shallots. When it arrived to the table I received a rare steak. I called the waitress to our table since she seemed to have an aversion for us and I let her know. Later she brought over pork belly with fried Sauer Kraut and sweet and sour slaw as an apology from the Chef. Belle ordered Grilled Shrimp and grits, with bacon-scallion portabella vinaigrette and hoop cheddar, however Chicken and dumplings were brought to the table. The mistake was corrected and Belle finally received her correct order. The hit of the evening entrees was Chicken and Dumplings consisting of potato gnocchi, braised chicken and chives. The gnocchi were cooked to perfection and chicken well-seasoned. The dish was however, skimpy on chicken. It was finally time for dessert. Belle and I chose the Vanilla Bean Pannacotta with red wine gelee, an orange reduction and walnut brittle. It appeared from the texture of the Pannacotta that it had not been made that day. The Bad Boy ordered the Cheese Cake with peppercorns. He did not feel the flavors of the cheesecake and the peppercorns complemented each other. The food, while eating from a limited menu was good, but service was an issue. We love to promote local businesses. 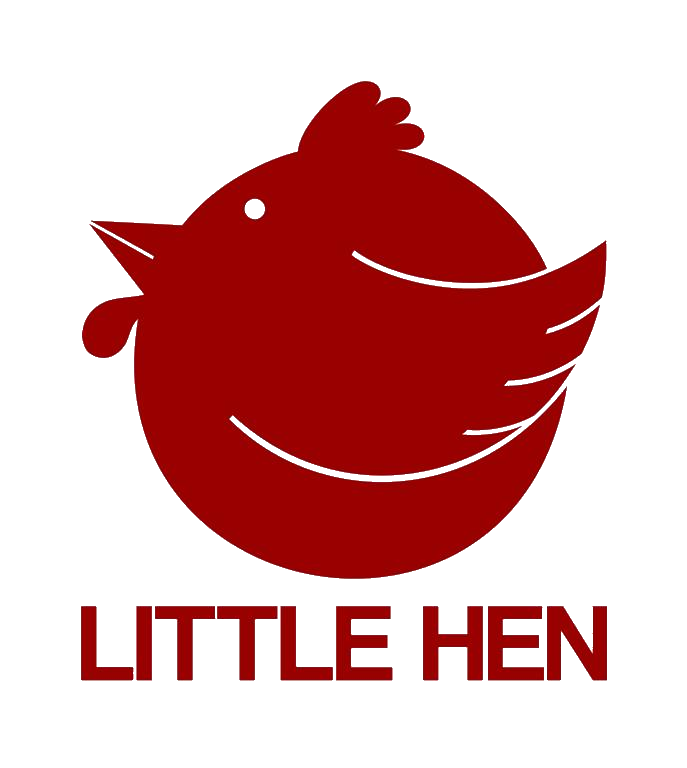 I do have a suggestion for the Little Hen. Work with your wait staff. Our waitress seemed to be preoccupied and we were not a priority. Friendly conversation, checking on the patrons to make sure their dining experience is living up to their expectations and providing good and accurate service will make the diner want to return. It was annoying when the table next to us received complementary dishes and wonderful service and we were ignored as first time diners as well as the others patrons in the restaurant. Restaurant Week is intended to ‘showcase’ popular restaurants in the Triangle. You may only have this one chance to make a good impression, make it work. Until Next Time – The Traveler.